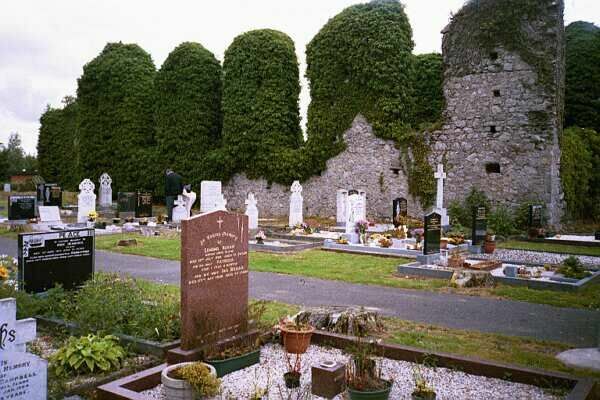 The site is in the graveyard on Main Street R407. Remains: large sections of the church and transept walls; damaged effigy of a knight. 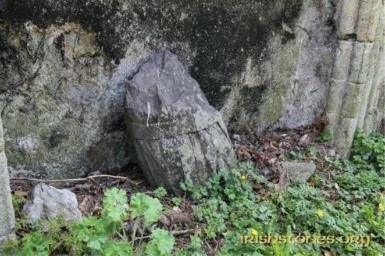 The effigy is said to be that of Gerald FitzMaurice FitzGerald, who is reputed to have founded the friary in 1258. 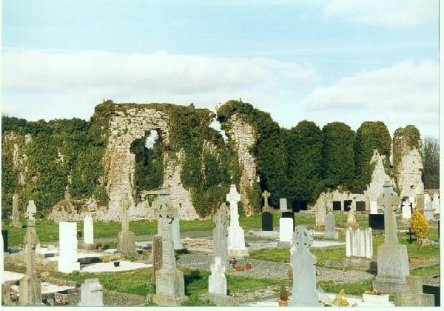 Having undergone major re-building in 1433, the friary was suppressed in 1540 and a lot of the stone used in the repair of Maynooth castle. 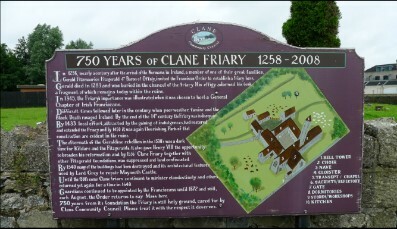 The friars never really returned to the area, except for a couple of years after 1647, and there are very few records of friars engaged in parish work in the region.